For connecting to MijnWebWinkel with SendCloud you need a Professional MijnWebWinkel account. Choose 'management' > 'settings' and choose 'key management'. Now you can choose to add a 'key'. When adding a key you will see a form as shown in the next image. Choose at 'partner' for SendCloud. The generated key is only for SendCloud usage. Choose version 2.0 or higher and save. The key will now be generated. Log in to your SendCloud account. In the left side menu you choose settings and 'connected shops'. Here you can 'connect new shop'. Here, you get a list of shops you can connect to. 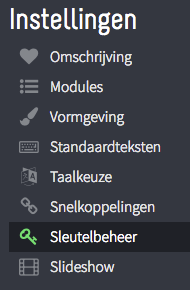 Scroll down to the MijnWebWinkel integration and choose 'connect'. 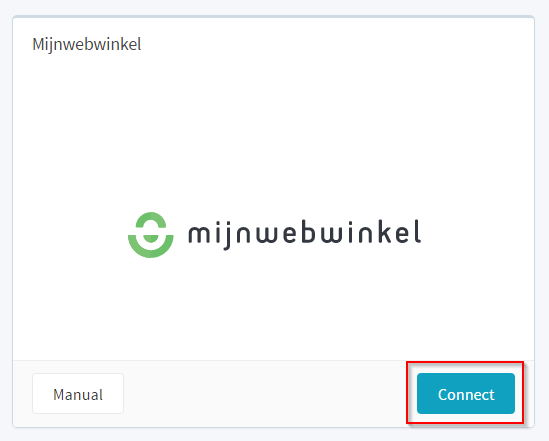 When choosing connect you can fill in the generated API key that you copied from your MijnWebWinkel enviroment. After choosing 'submit' you are done with making the integration to your MijnWebWinkel account. From the 'incoming order' tab in your SendCloud account you can select the orders you want to make a label for.